New York (TADIAS) — Growing up in Stockholm, Sweden Teddy Goitom and Senay Berhe, self-taught filmmakers, longed to diversify the creative scene in the West and to share the voices of musicians, fashion designers and artists from Africa and the African Diaspora. In the last five years Teddy and Senay have traveled to 10 African countries with Ethiopia as their first stop. The global trek culminated with the release of five documentary episodes last year featuring the work of “visual artists, filmmakers, fashion designers, and cultural activists” from 6 African countries: Angola, Kenya, South Africa, Ghana, Senegal and Ivory Coast. Earlier this year, in April 2015, the two filmmakers were presenting their work in Barcelona when they received an invitation for a one-year residency at the New Museum’s incubator (New Inc.) in New York City to further develop their new platform, Afripedia. “We realized that the films we made weren’t going to represent the whole talent base in Africa,” Teddy tells Tadias Magazine. “And we asked ourselves, how can we build a better platform so that more people can come together and share their work and network?” They have now re-envisioned Afripedia as more than just a series of films, and transformed their idea into one that could be better described as social entrepreneurship. “I just want to emphasize that this is not something that we can do by ourselves,” says Senay Berhe. “This is really a collaboration between curators and creatives” and a way for Africans to know what other fellow Africans are doing creatively across the continent. Senay was drawn to film at an early age, and remembers accompanying his uncle to weddings and being allowed to stand behind the camera while taping was in progress. He spent most of his days at his friend’s film school where he familiarized himself with editing tools in the multimedia labs and by age 14 he had decided that he wanted to be a filmmaker. Eventually he got an opportunity to work as a production assistant. Teddy’s interest in film grew out of his work in photography and event production. In the late 90s he produced a music documentary series entitled Stocktown Underground after traveling to the United States, Australia, Japan and Brazil to document independent musicians and their efforts to remix music from different parts of the world. The series was released online in 2002 and broadcasted on TV in Sweden, Spain and Brazil. The DVDs are still selling in Japan as a collectors item. The Afripedia film series and platform grew organically out of this initial experiment, and when YouTube was launched in 2005 Teddy and Senay realized that it would be an ideal platform to share film and moving pictures highlighting the African talent base. “We were just a collective of artists trying to bring out new voices and we thought the Internet was the perfect way to do that. That’s actually when I got more interested in film and took it more seriously” Teddy shares. 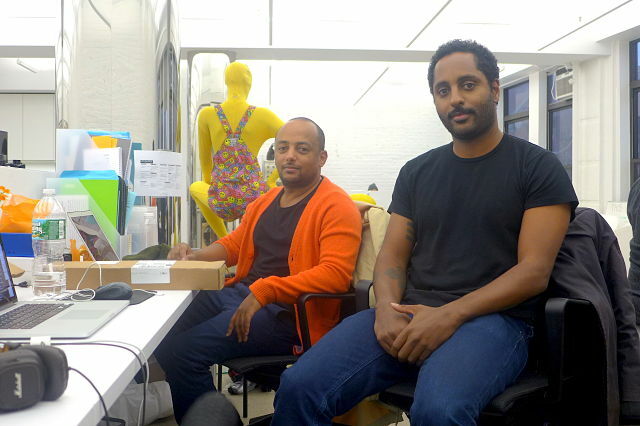 With Afripedia, the co-founders chose to broaden their scope beyond music. “How about including the art scene, film, and what people are doing in the contemporary field in general?” they asked. They shared a Google document with fellow artists to get recommendations of individuals to network with. In 2010 they connected with a photographer who was documenting the fashion scene in Soweto and produced their first 30 minute pilot from South Africa. The pilot entitled Stocktown x South Africa was picked up by CNN and several online sites upon its release, and as interest in the film grew the project expanded to include additional series. It’s an ambitious commitment to highlight the African creative marketplace, but the co-founders of Afripedia are inviting all Africans (both residing in the continent and in the Diaspora) to connect with each other. While in residence at New Inc. they are working on a business plan to identify funding and resources to develop and manage the platform, which they say will be curated in the first stage and transformed into an open-access site with minimal editorial control in the later stages. The Afripedia film series have been previously screened in Rio de Janeiro, London, Paris and Kigali as well as shown at the New York City Film Festival, Selam Festival in Addis Ababa, and at a cultural center in Lalibela, Ethiopia. They also recently launched the first virtual reality music video in Africa, which was shot in Addis Ababa for Ethiocolor Band and released on YouTube and via Android and Iphone apps. 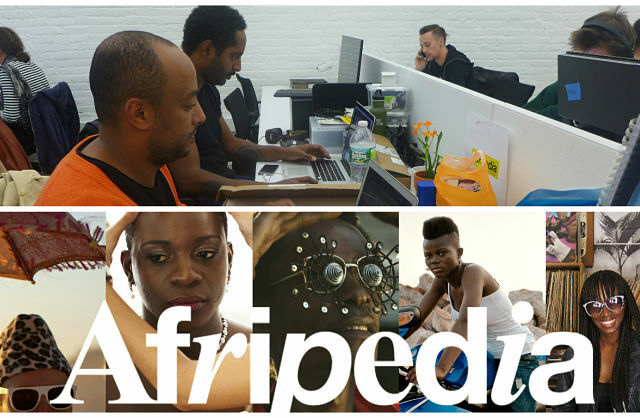 The full version of Afripedia’s five episodes is scheduled to be released online on the new Afripedia platform in September 2016, and a few weeks from now, on November 15th, Afripedia’s co-founders will also be presenting the platform at a film and music festival at the National Sawdust in Brooklyn, New York where artists featured in the series will be in attendance. You can learn more about the project at Afripedia.com and the New Museum incubator program (New Inc) at www.newinc.org. The Ethiocolor 360 mobile App can be downloaded for Android and iPhone.